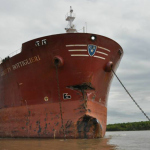 On December 13, the 176 meter long chemical tanker Ghetty Bottiglieri collided with the 180 meter long bulk carrier Octbreeze Island at the 285 kilometer mark on the Paraná River off San Pedro, Argentina. The Octbreeze Island was heading down the river when it was struck in it’s port side by the bow of the Ghetty Bottiglieri. The Octbreeze Island suffered a 5 to 6 meter gash in its hull resulting in its fuel tanks being punctured. 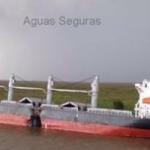 The bulk carrier had severe flooding and developed a list, but was not in danger of sinking. A large oil slick formed downstream from the bulk carrier which was partially contained later by booms placed by authorities. The Ghetty Bottiglieri sustained damage to its bow. No reports of injuries on either vessel. 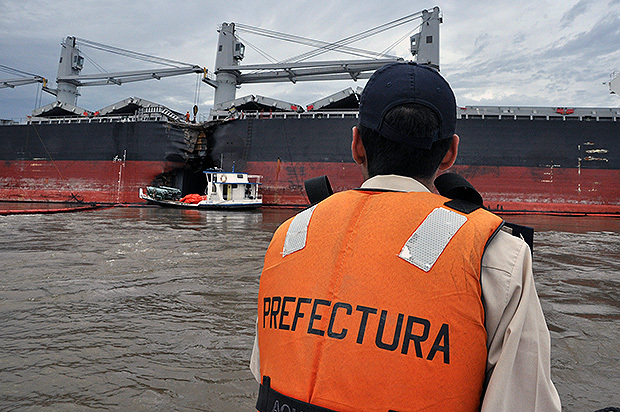 Both vessels dropped anchor near the area of the collision. Authorities have launched an investigation into the incident. 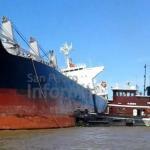 Local reports state the vessels were in a severe storm at the time of the collision. 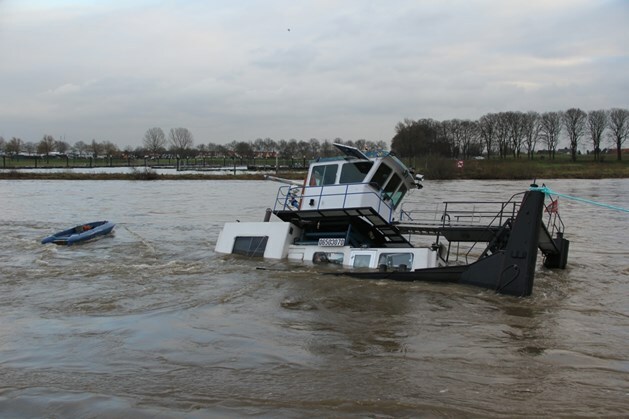 The 22 meter long tug Christian 2 sank on the Maas River near Stevensweert, Netherlands. The Christian 2 was pushing a gravel barge when it began to list when it attempted to make a turn. 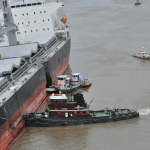 The tug suffered water ingress and the vessel eventually sank. No reports of injuries. Reports state the tug had released a small amount of oil pollution when it sank. 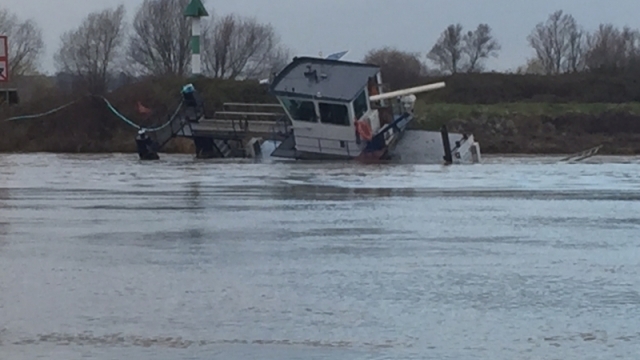 Owners stated that salvage work on the tug was slated to begin in two weeks when water levels drop on the Maas.